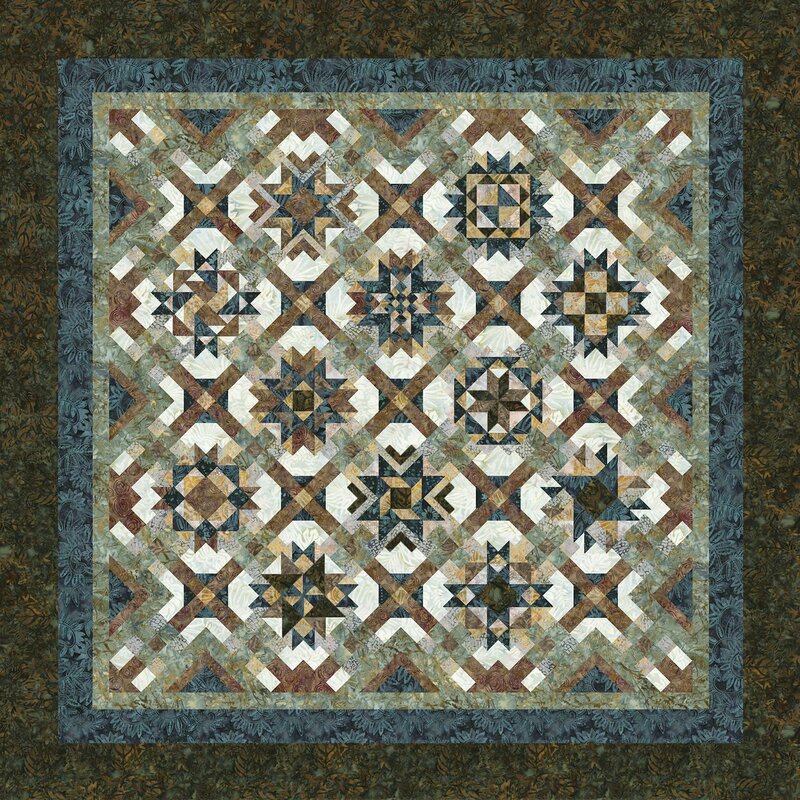 This is a beautiful quilt, 104" square. We keep the class small - 6 students. Come in the second Friday or first Saturday of each month and sew your blocks. We will be doing 2 blocks per month as the finishing blocks and borders take a few weeks as well. Mar 8 - Reveal Celebration! Mar 2 - Reveal Celebration! Bring your sewing machine and general sewing supplies. You will also find Studio 180 "Wing Clipper" and "Square in a Square" tools VERY helpful. All supplies available at Quilters Headquarters. $100 deposit required, $12.70 each month for 11 months. We are really only charging for the kit. The class is free.